The Leadership Games Team Building workshop makes learning fun, interactive and interesting. Our selected games allow participants to absorb and remember lessons faster and more efficiently as they put them in practice through experiential learning activities. 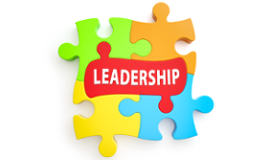 With over 100 leadership games to propose this workshop if very flexible and adjustable. This workshop can also be combined with the “8 dimensions of Leadership Workshop” and the “Work of Leaders Workshop”. Each of the games and challenges are specially selected according to the goals you have for your team.